Service Trade helps mechanical Contractors use technology to focus on their customers to grow their business. Dispatch techs to emergency calls. 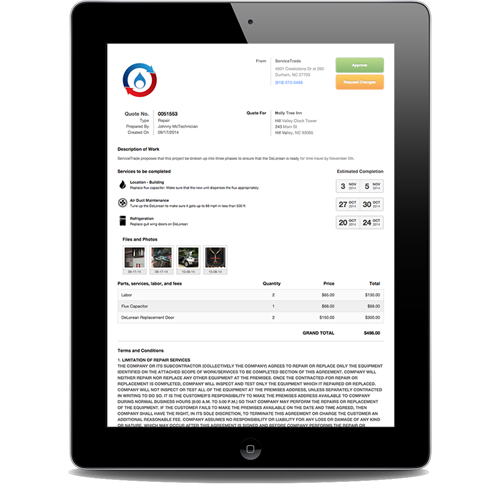 Go paperless with ServiceTrade mobile app. 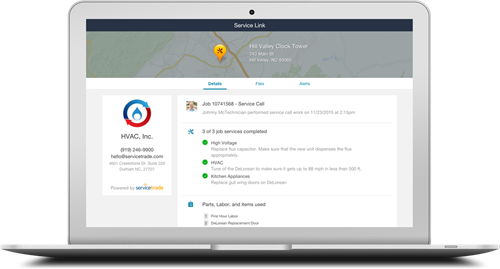 Send customers and online after-service report. Convert more repairs to revenue with online quoting. 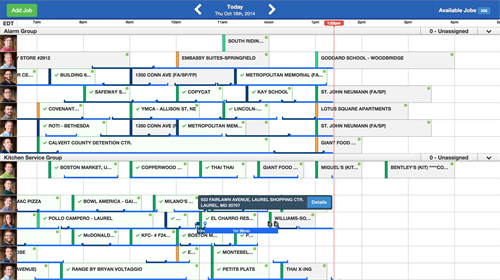 Map-based scheduler shows technicians and available jobs. 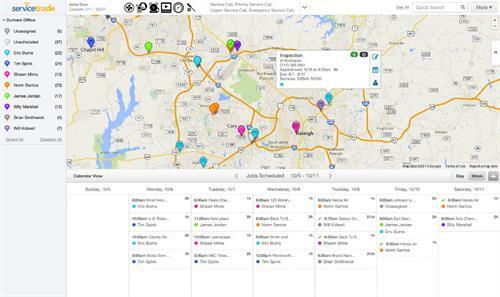 Dispatch board shows who is where so you can respond to emergencies. 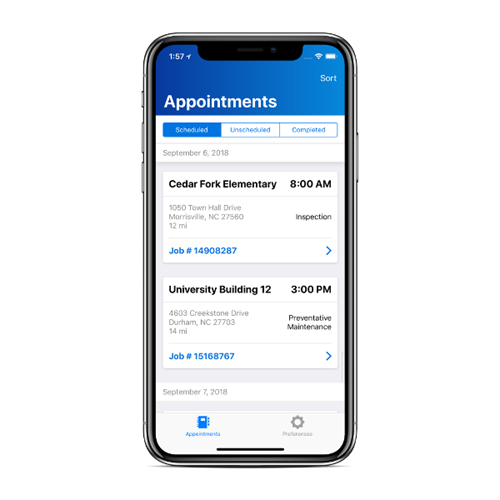 Techs use our mobile app for Androids and iPhones to get job details and share info with service managers and admins. Share an online after-service report showing what you did, what you discovered, and any repairs that might be needed. Send online quotes that show photos of the issue and a big green APPROVE button.